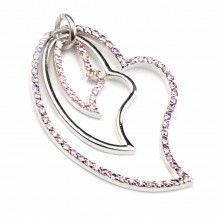 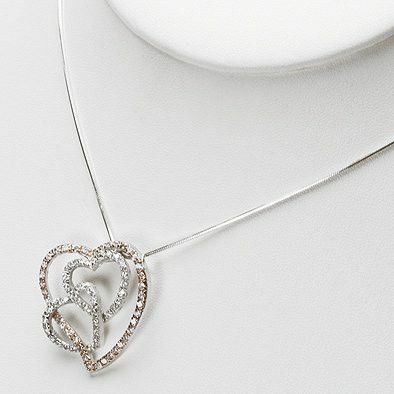 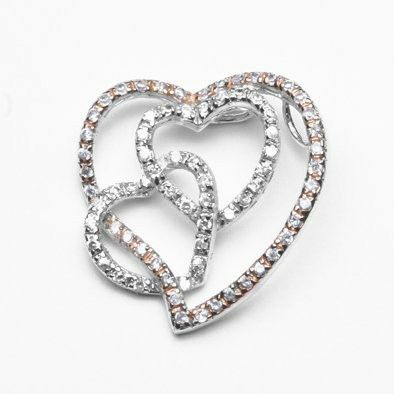 This beautiful pendant features the three hearts overlapping each other. 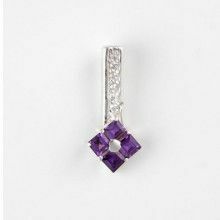 It measures 1 1/4" in length by 1 1/4" in width. 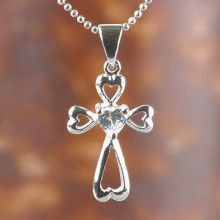 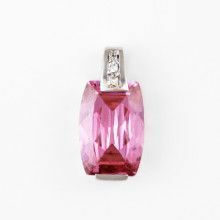 It is made of genuine .925 sterling silver and features an array of cubic zirconia stones.